Well, I say stop that nonsense! Quit giving gifts! My husband and I love holidays and birthdays, but we don’t give each other gifts on these special occasions. We skip Black Friday and we save our money for birthday occasions instead of birthday stuff. I know this is shocking to some people, but read on and I’ll tell you why this works so well for us! Happy Birthday, Jim! I got you an experience instead of a thing, enjoy it! What do I get someone who has all his needs covered? Rather than agonize over what knicknacks to get him, I just skip this entirely and he does the same for me. 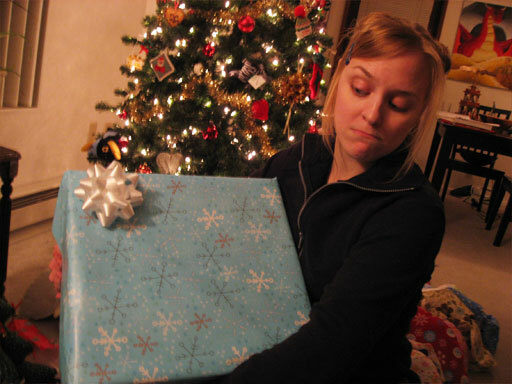 Do you dread gift shopping? We do. We don’t ask each other to do things we both dislike! When we decided to stop giving gifts, an enormous weight was lifted from both of us. Especially Jim, since he’d be shopping in November and December for my mid-December birthday… along with everyone else in the US. Jim and I have lots of interests that don’t overlap. But we’re both grown ups, and we can handle taking care of our needs relating to those interests. 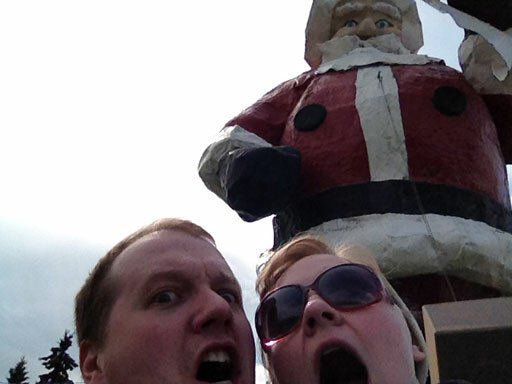 We spent Jim’s July birthday in North Pole, Alaska, where we were almost devoured by a gigantic angry Santa. We think it’s more satisfying to spend money on an experience rather than on a thing, and science agrees. I could spend $100 to get Jim a bunch of books, DVDs, and trinkets that I’m sure would delight him and probably entertain him for a while before they morphed into more things to dust, move, and organize. I could book another night in a cabin at Denali and we can spend his birthday in each other’s company, at a remote and beautiful place, with memories we’ll bring up for years. Bonus: no things to move or dust. We spent 7-5-12 in northern California, and 7-5-2013 in Denali National State Park in Alaska. I can’t remember what we did for Jim’s birthdays before we started traveling instead of gifting, but I’m sure it included working a full day at the office, and then opening gifts and eating cake in the short evening before bed. I love, love, love our new tradition. When you buy a knicknack and give it as a gift, you probably don’t think of the day it will be sold at a garage sale or donated to charity. You don’t think about that person moving and having to sort “keep” from “don’t keep”. I know I don’t, because that’s depressing! But I find gifts given to me get “imbued” with an essence that makes them very difficult to donate to charity when no longer needed. I end up with boxes (rooms) full of things that are special because I got them for a birthday or a holiday years ago from a person I love and now I just can’t let them go. Then one day, after years of moving them and not enjoying them, I give up and donate them. You know what happens? I still love the person who gave them to me, and that person still loves me. Phew! I know Jim loves me because of the things he does and says every day, not by the monetary value or “thoughtfulness” of the gifts he buys me. If you only feel loved when your S.O. is giving you something of value, there’s something wrong in your relationship. You deserve to be loved. Find someone who loves you with their heart instead of their purchasing power. Do you need that new book by your favorite author? Tickets to see your favorite band? A new game on Steam? Are you sure you need it? Do you have room for it? Is it amazing? Don’t wait until some arbitrary date rolls around. If your budget has its act together, you should have bandwidth for regular treats. If what you want is expensive, save your monthly fun stuff budget for a few months and then buy it. By buying things when you need them instead of when our gift-saturated culture tells you to buy them, you’re dropping out of the insanity that our culture creates around holidays and birthdays. And so is my sister’s, and my mother’s is right after Christmas. My dad’s comes in January, when everyone’s sick of celebrating stuff. My parents did a good job of recognizing my birthday separate from Christmas when I was a little kid, but now it’s kind of nuts to be a grown-up expecting back to back gifts. Kids with summer birthdays seemed so entitled to parties and mountains of gifts. Their day was all about them. I guess I just didn’t get a big head about it growing up in the shadow of my country’s biggest holiday. Also, stores are hell on earth in December and asking people to endure that for me is cruel and unusual punishment. Birthday close to Christmas = hard know whether a photo was taken on my birthday or Christmas. But this one was definitely birthday. I’m not saying don’t celebrate the birthdays of the people you love. Frankly, Jim and I celebrate more elaborately now than when we were just swapping small gifts. Now we make a whole day of it: we started taking our birthdays off work (or some day near them, we’re not militant about things happening on The Exact Day of My Birth) and doing something new and special with the day. We travel, we converse, we indulge in amazing foods – we spend the day living. I am saying gifts for the sake of gifts is ridiculous. Our culture is saturated with gift-giving, but to what end? Our gift-giving culture is supporting entire industries (how many people go to a bookstore outside of their annual holiday shopping, I wonder?). In turn, those industries count on the crush of purchasing in the weeks up to Christmas to keep themselves financially solvent. If everyone celebrated birthdays the way Jim and I do, the economy would shudder and collapse. But people might find themselves with fewer burdens: less credit card debt, less animosity over who has what, less to move and maintain. If you’re the person expecting people to shower you with perfect gifts, get over yourself. You don’t need any more crap, and the people you love don’t deserve the burden of finding the Right Thing. If you truly desire something, then it’s a need and you should budget for it and buy it. Isn’t that liberating? But it’s fun to give and get gifts! Oh I know, I love opening a big heap of gift-wrapped stuff at Christmas. And I definitely loved it as a kid (which is why I feel this advice is for adults – please spoil your children as you see fit). 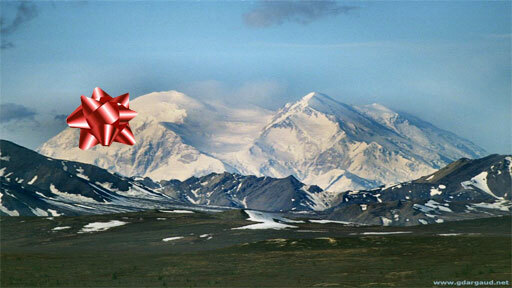 Right after Jim and I moved to WA, I was yearning for a “real Christmas” and spent a good $600 giving us one. We still haven’t opened some of the Blu-Rays or beaten some of the games we bought. I wish I hadn’t gone so nuts. Give gift certificates: Amazon, Target, grocery stores, etc. These are immediately useful. Agree to skip gifts this year. Don’t buy your husband a stack of DVDs for his next birthday. Don’t buy your wife any more books or clothing accessories. Spend time together instead. Stay home and enjoy each other’s company. Or go somewhere and see something new. You won’t even miss the gifts.